The Oodnadatta Track, one of the epic outback tracks every 4×4 driver wants to drive (or at least, when you are an Australian or if you are in Australia). And we drove it in 2013. At Marree both the Birdsville Track and the Oodnadatta Track start (or end). We started the Oodnadatta Track under a cloudy sky, and soon stopped at Mutonia Sculpture Park (on the road book signed as Plane Henge, the most famous installation we presume). You cannot miss this open air exhibition of strange art works, made out of waste. The artist comes back every year to create a new piece. Soon after this odd stop, we started seeing Lake Eyre, the biggest salt lake of Australia (and the biggest internally draining catchment of the world). The part you see from the road, Lake Eyre South, is just a small piece of the lake, but even this looks enormous! Wonder how it looks like from the sky, but we didn’t flew over it (travel budget 😉 ). The lake fills up every now and then, when there are floods in Queensland. Sometimes you see railway bridges, or you drive in a creek. Again very hard to imagine, but these are rivers running from the lake … And there is more water. The many springs along the road, like Coward Springs we visited, are the result of the Great Artesian Basin squeezing to the surface. If there isn’t a spring, you are likely to see a mound spring, a mound formed by the mineralised material coming to the surface with the water. It is one of the world’s largest underground water reservoirs. 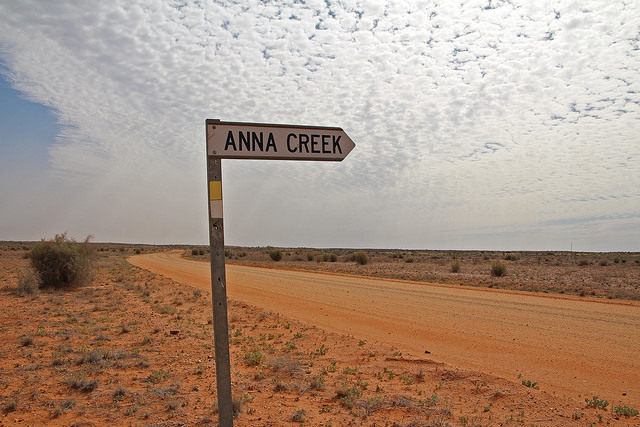 The Oodnadatta Track lies on the western edge of the Great Artesian Basin. As said before, we stopped at Coward Springs. In 1887 an artesian bore was sunk at the spring, in preparation of the coming railway. This wasn’t a great success, and a few years later an artificial wetland was all what’s left from the boring. 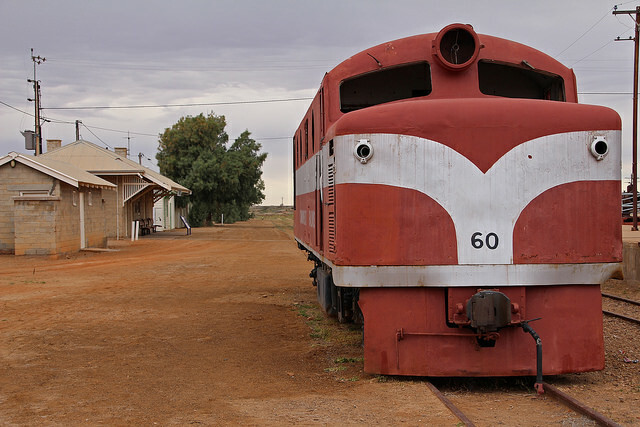 However, it remained a Ghan stop, with a pub and a pool. The hotel doesn’t exist anymore, but the pool is still there! For those thinking there is nothing to do or see in the outback … think again! 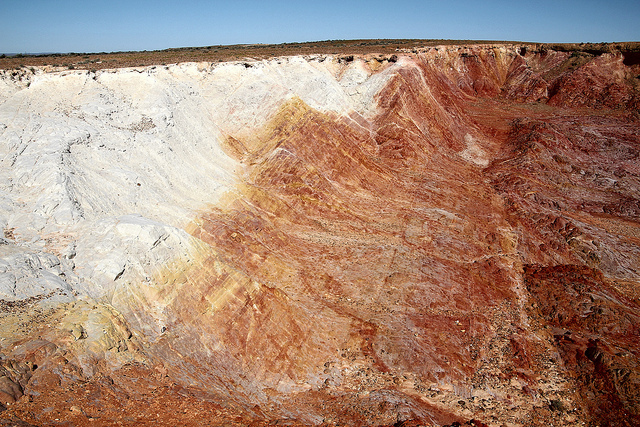 You can read more about Coober Pedy in a next blogpost.